Testimonials & Reviews - Maryville, MO: Matthew Baker, D.C.
Dr. Matthew Baker always appreciates feedback from his valued patients. To date, we’re thrilled to have collected 21 reviews with an average rating of 4.86 out of 5 stars. Please read what others are saying about Dr. Matthew Baker below, and as always, we would love to collect your feedback. Dr B us so caring; he is not only interested in your aches and pains, helping you, but about you; making you feel better and able to function again. I highly recommend Baker Chiropractic Care not only for when you’re hurting but for maintenance appointments as well. Dr. Matt makes it a priority to get to know you and how your body needs adjusted. The staff is always friendly and professional. 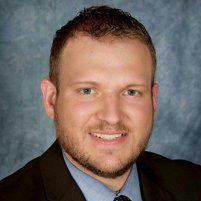 Dr. Matt knows his stuff and has helped me tremendously with pain and headaches! The doctor thoroughly explained everything to me, and was also able to show me on my own body, what was affected. All the staff was very welcoming and personable! Dr. Baker took the time to explain everything and made sure I understood what he was talking about. I would definitely go back. Dr. Baker was greatly and really listened to what i was having issues with! thank you for working out the kinks in my neck & shoulders. appreciate the educational aspects and the holistic approaches. spine, muscles and nerves are adjusting nicely. Very friendly staff and very helpful in explaining everything! The staff is always very friendly and Dr. Matt listens and really treats individual needs not one fits all treatments!! Has almost eliminated my pain issues! great , I feel better and I really like going. I have just started going to Baker Chiropractic and am already very impressed by the staff's desire to help their patients. Instead of the typical "come back when it hurts" you may hear from other chiropractors they strive to find the problem, solutions, and explain everything thoroughly. They work around busy schedules and are very flexible with treatment options and payment too. Overall great to work with, I would definitely recommend Dr. Baker to anyone! Dr. Baker was very thorough in understanding my history and examination. I'm hopeful that he'll be able to help me return to good health. I am 53 years old and Ive been to several chiropractors in the past and the bakers are the best .they are awesome, they genuinely care about you.And you will feel your best ever!